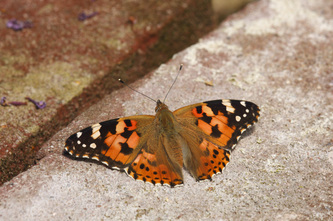 The ground colour of the upperside is orange-buff, often with a strong rosy tinge and overlaid with a pattern of black spots and patches. The forewing tip has an extensive black patch containing white spots. 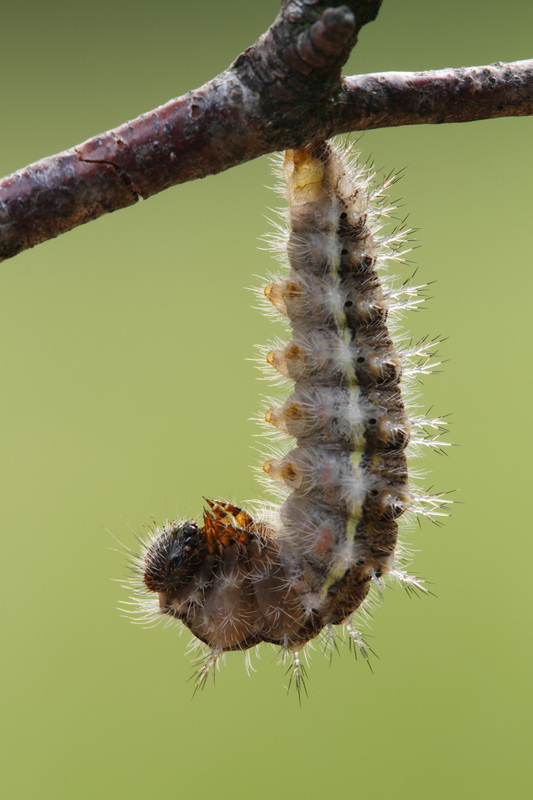 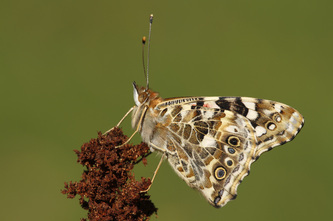 The hindwing has an arc of prominent black spots just inside the outer margin. 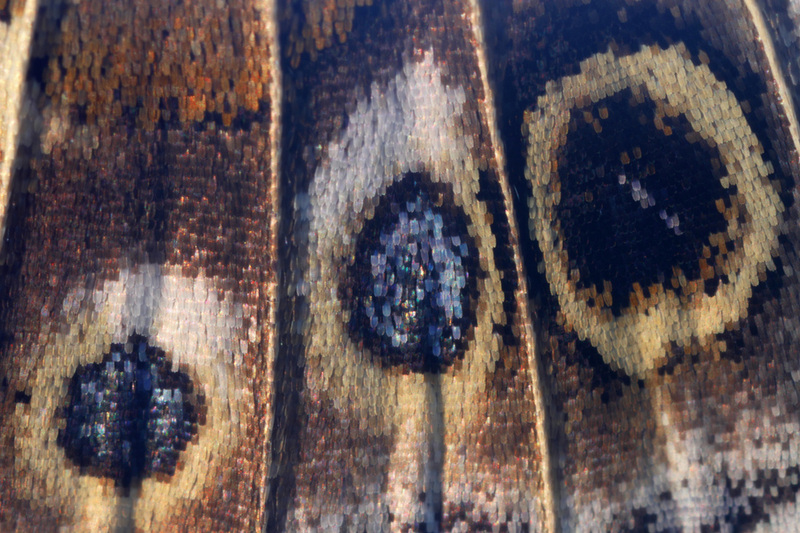 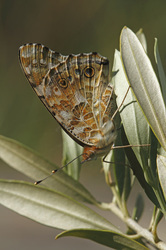 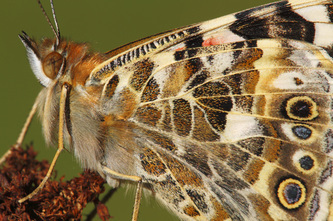 The underside of the forewing resembles the upperside, but the underside of the hindwing is mottled grey and brown with a row of bluish eye-spots near the outer margin. 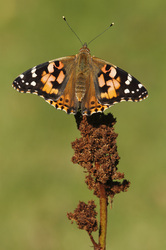 Flight from May to Ocotber in one or two broods. 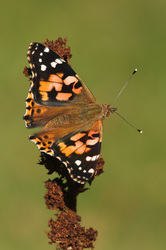 A far-ranging migrant. 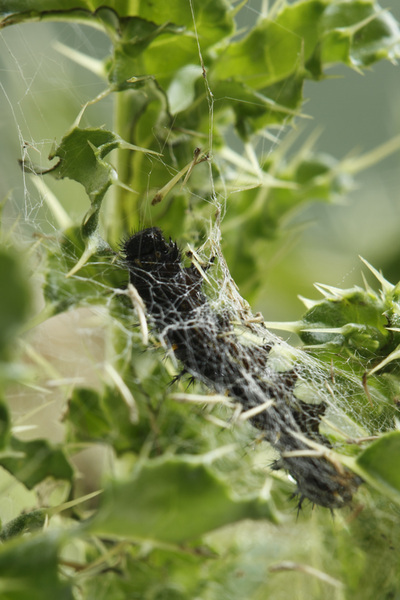 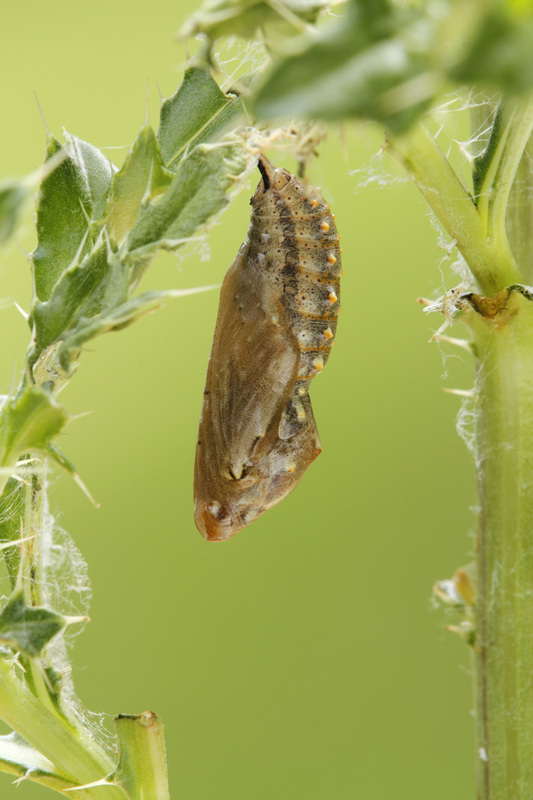 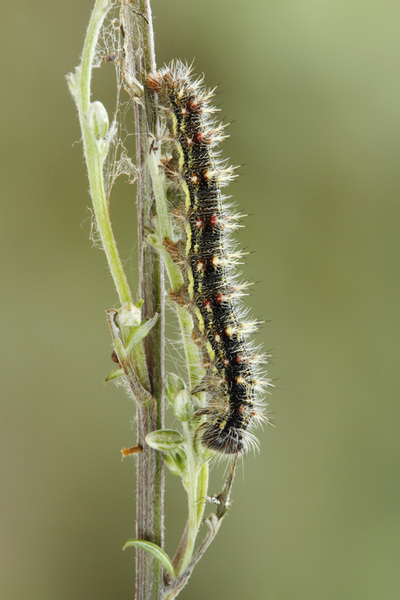 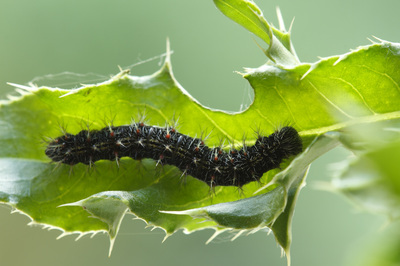 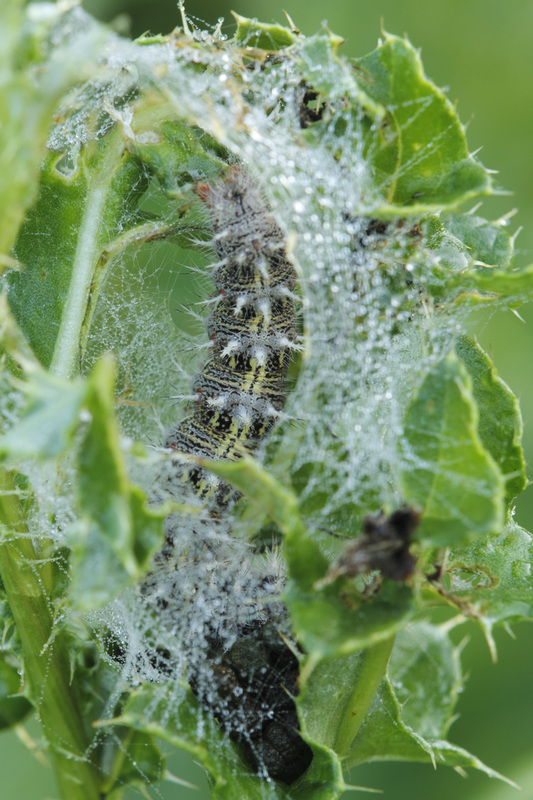 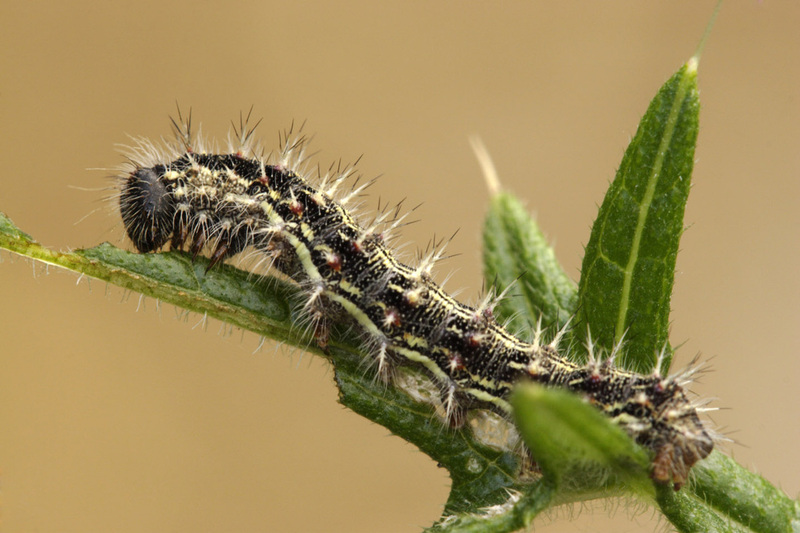 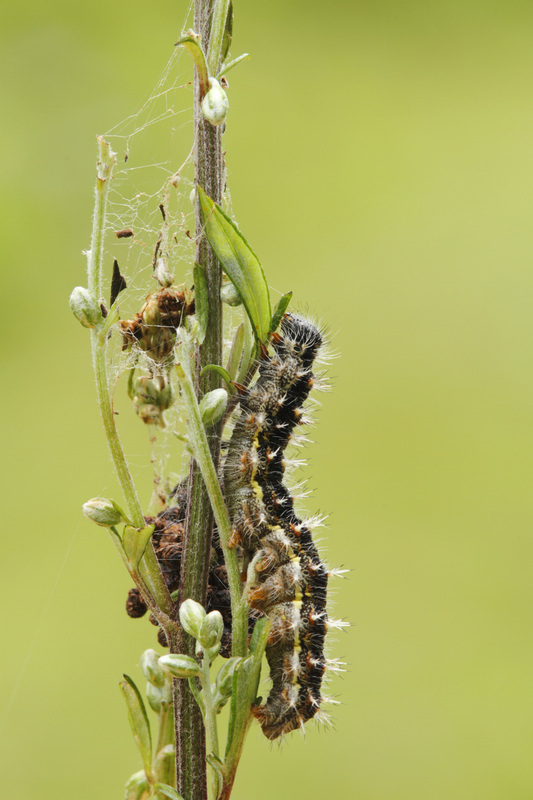 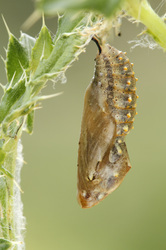 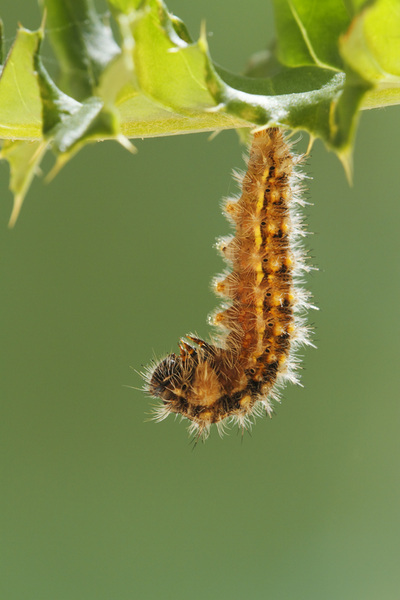 The larval foodplants are mainly thistles. 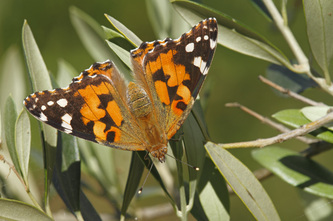 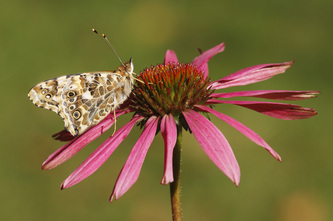 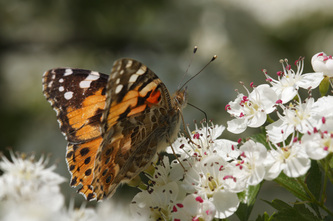 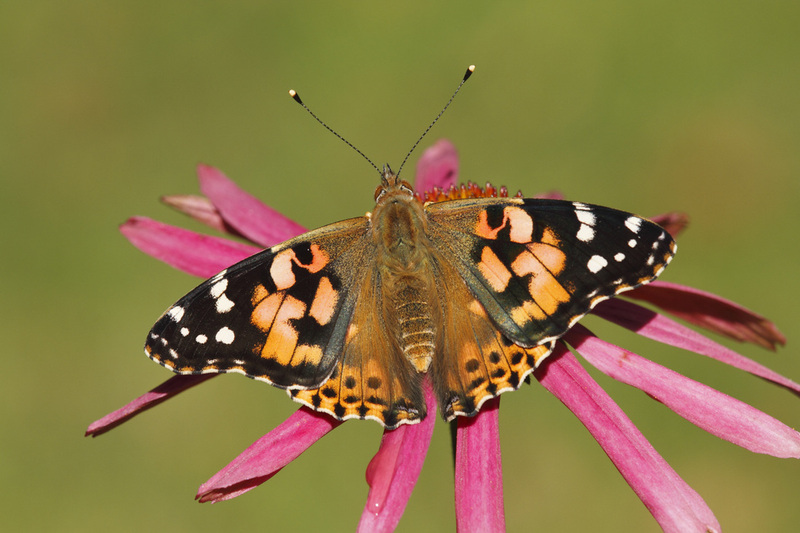 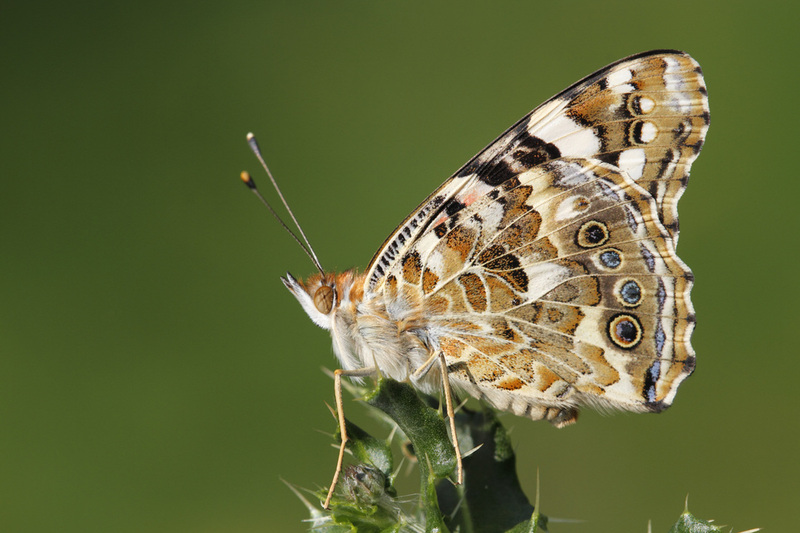 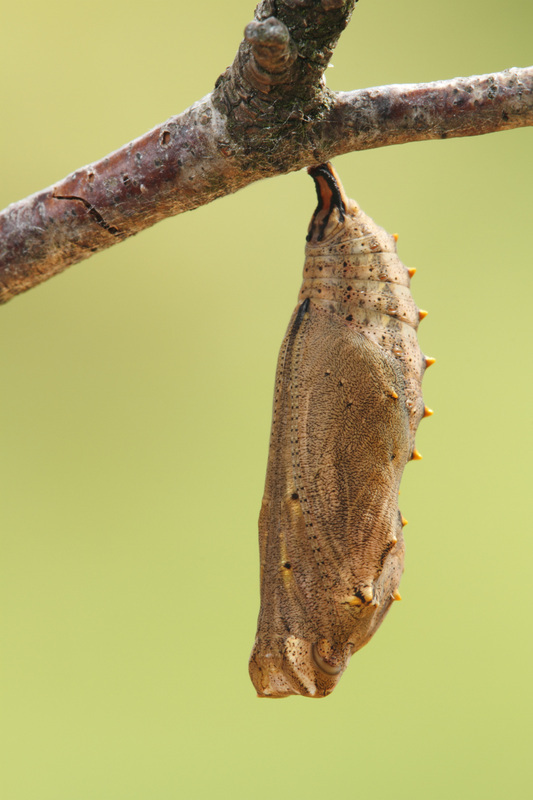 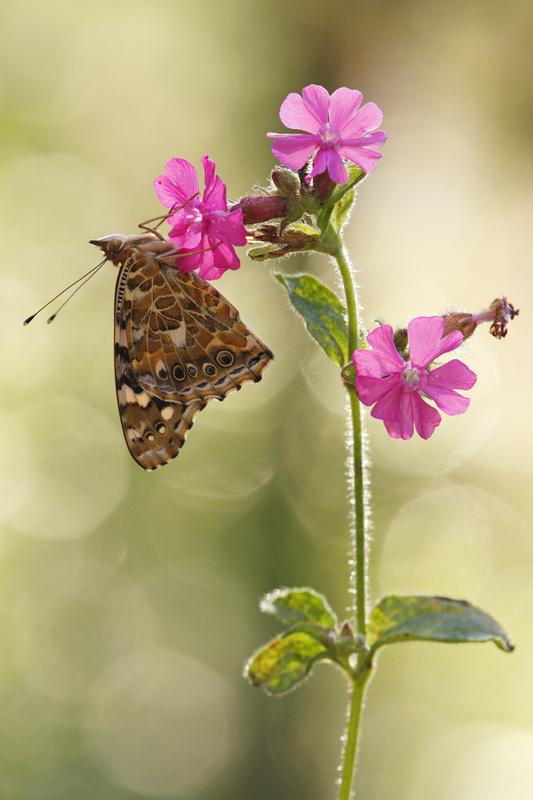 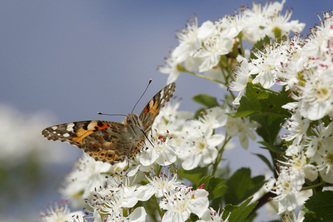 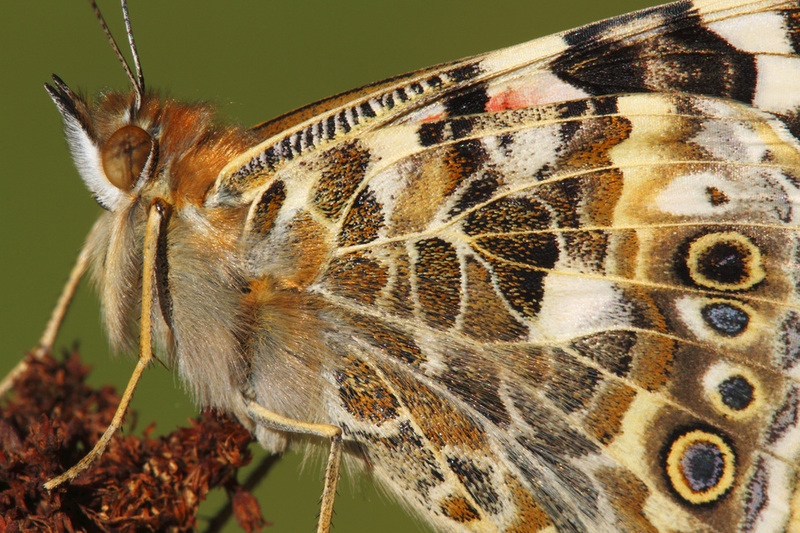 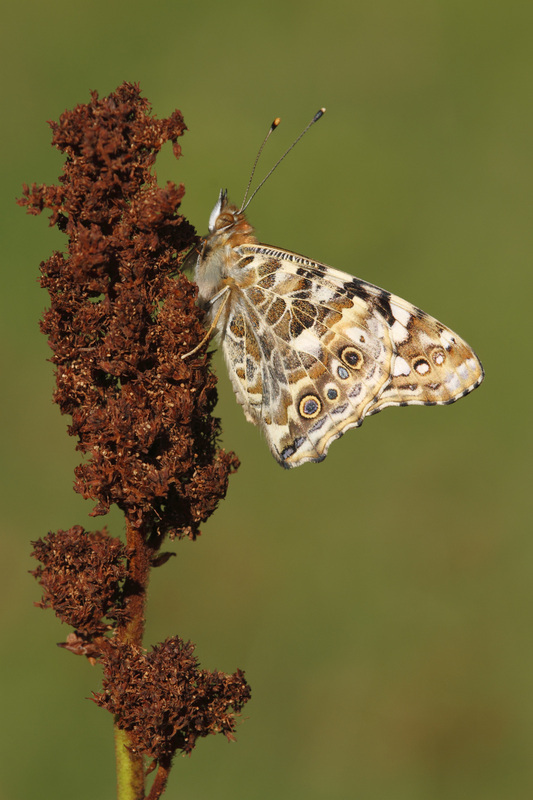 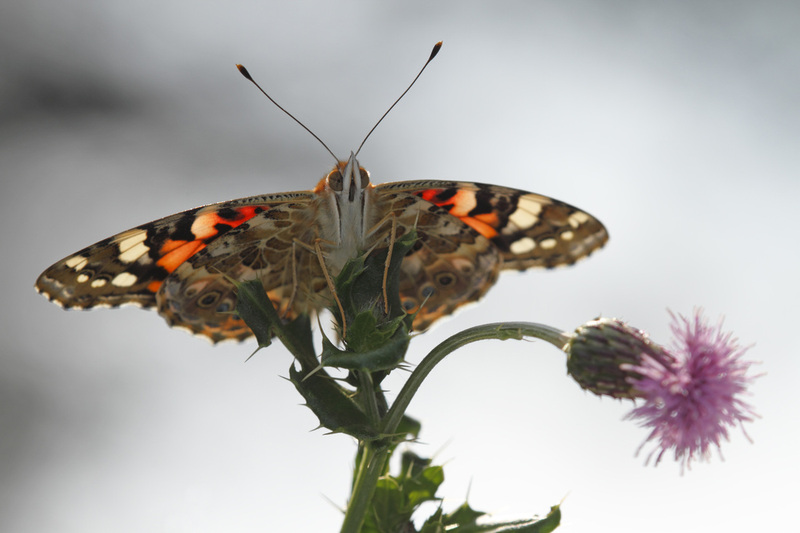 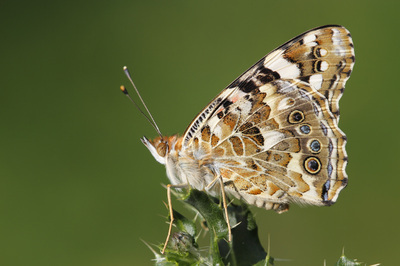 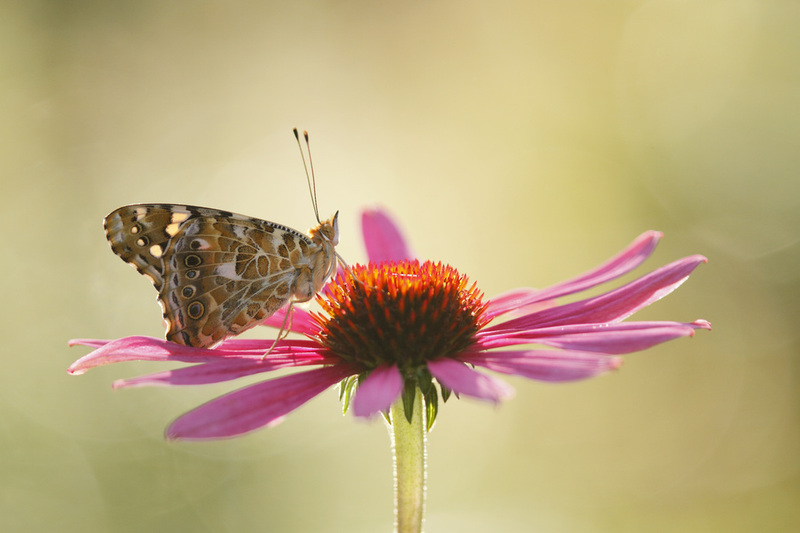 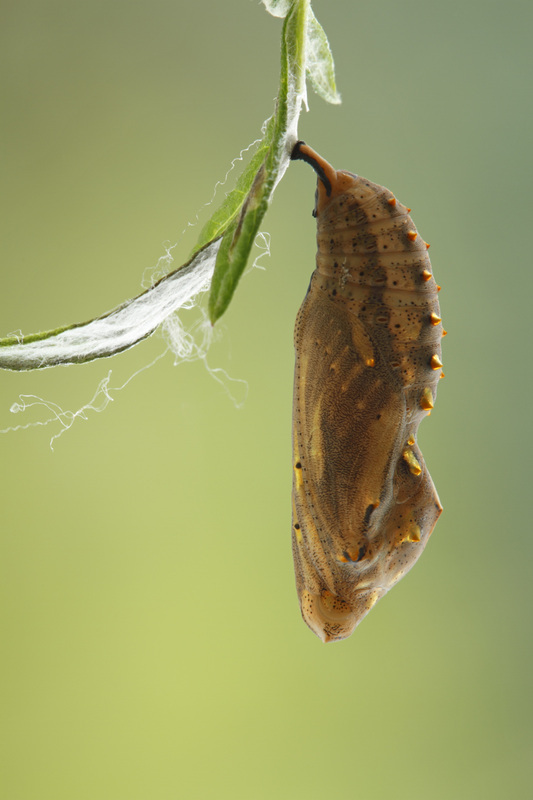 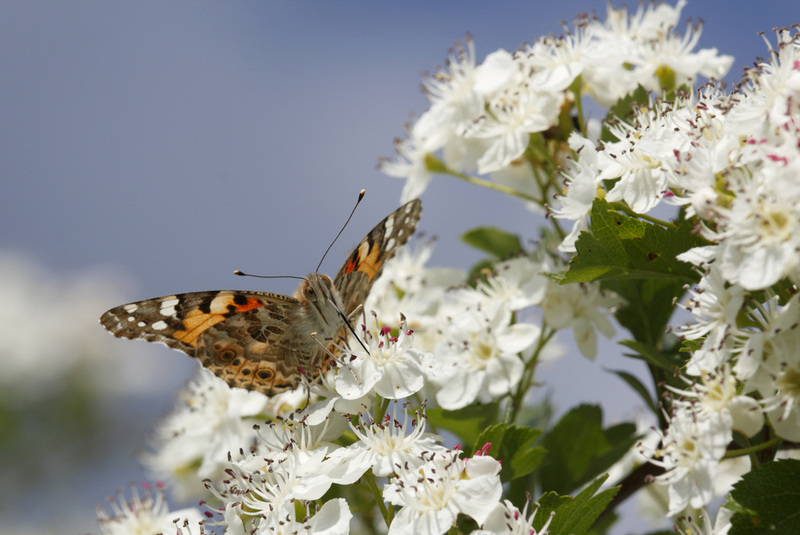 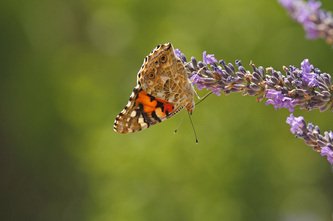 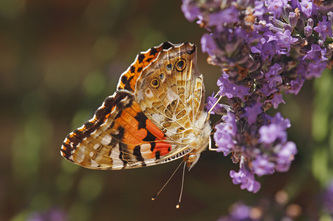 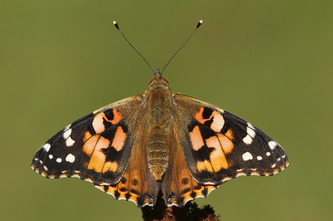 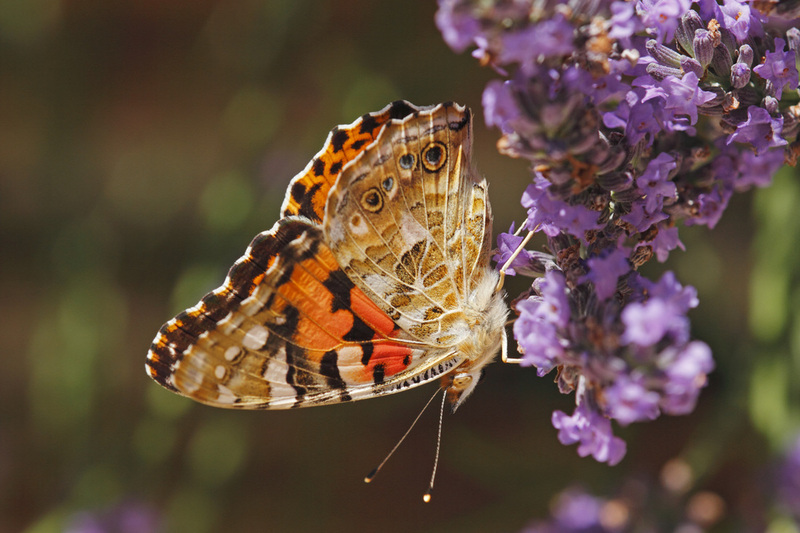 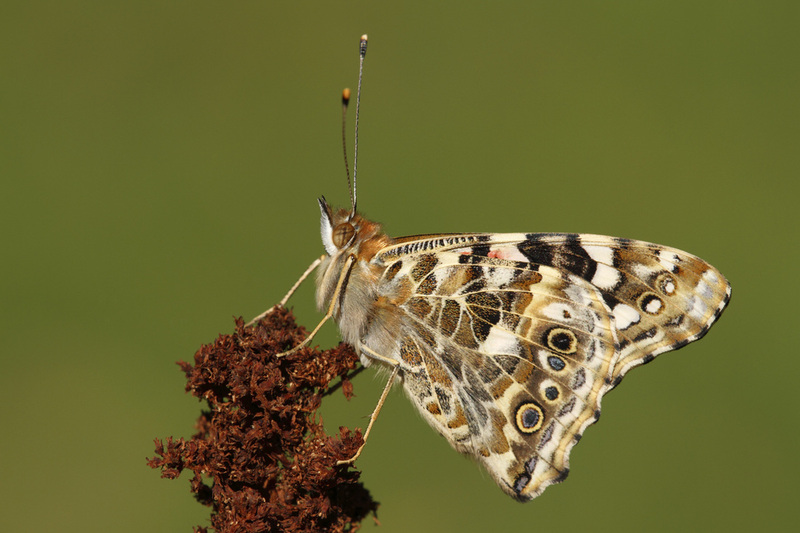 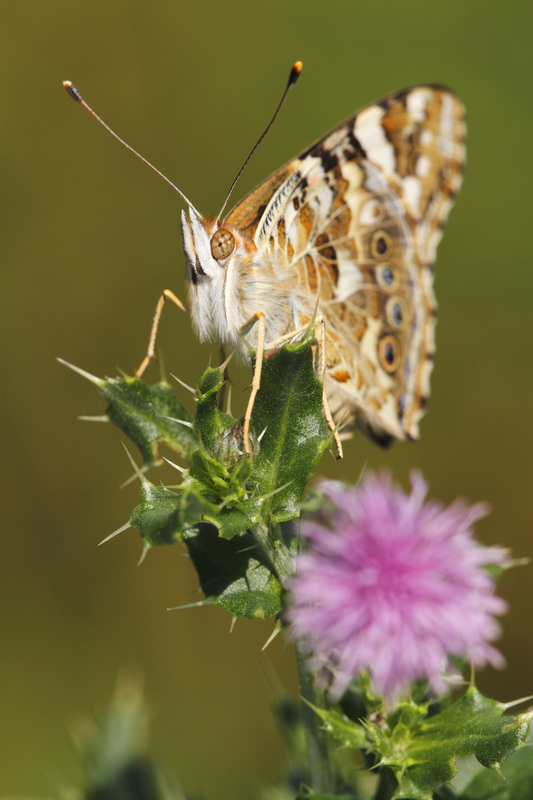 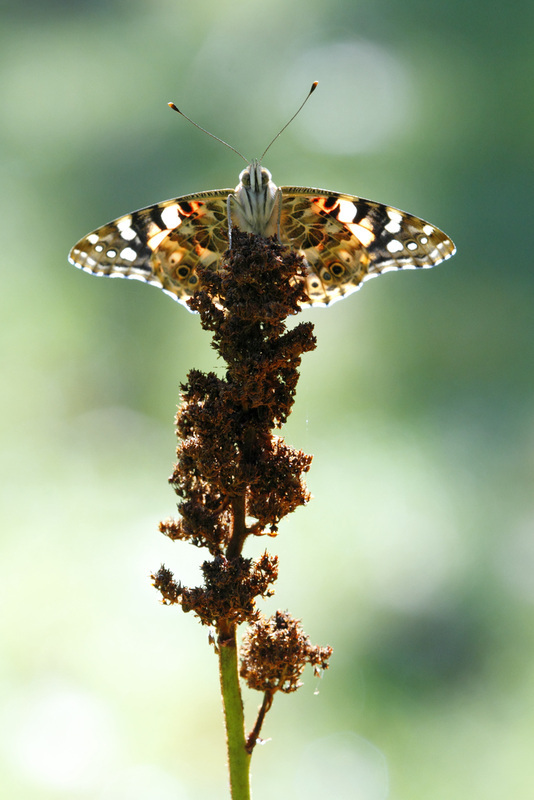 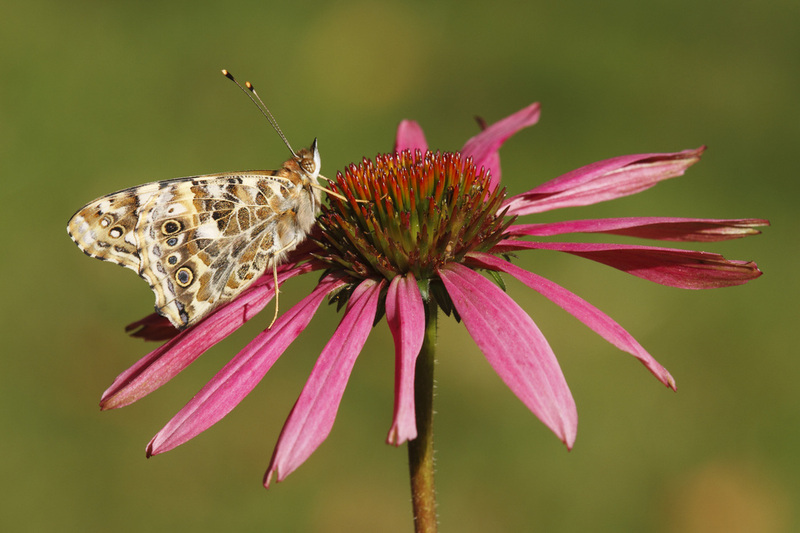 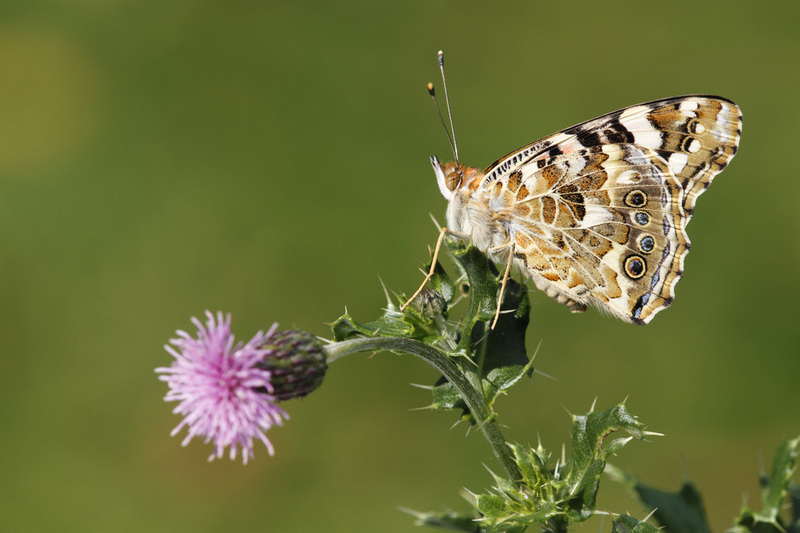 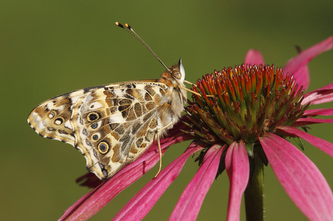 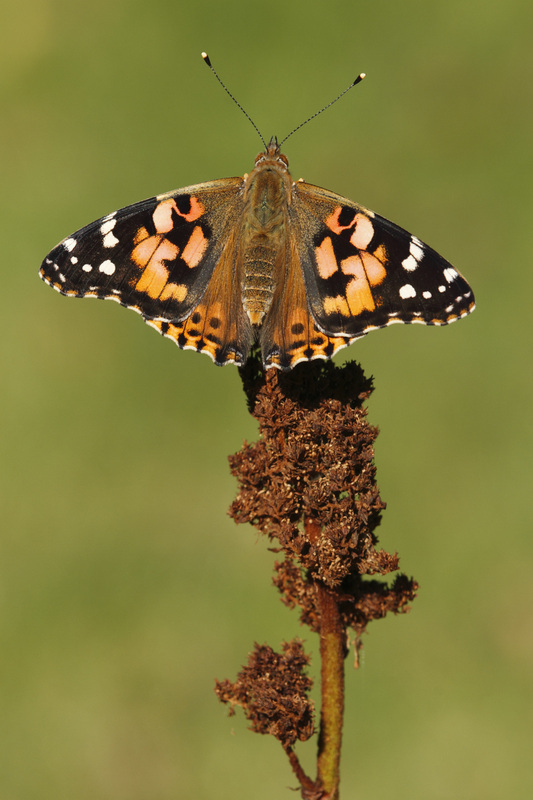 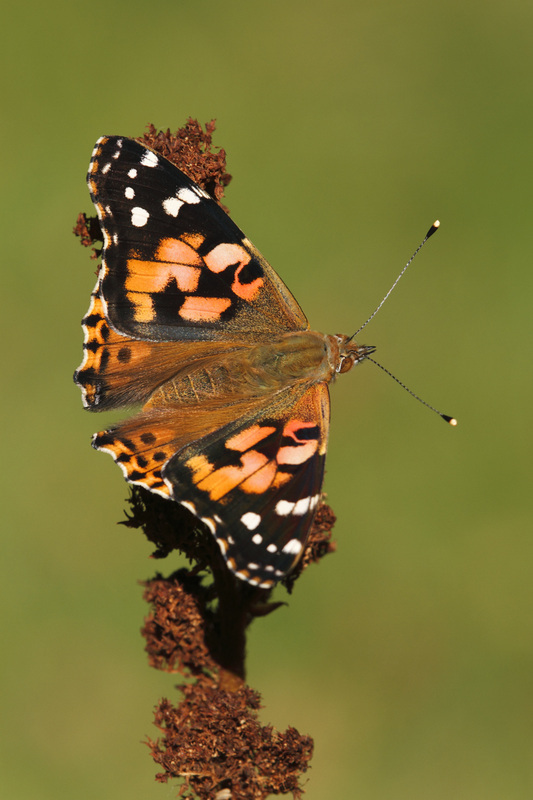 The Painted Lady cannot survive European winter and fly southwards.